November 11, Veterans Day is set aside to honor more than 18 million of our country’s military Veterans. Veterans Day was first recognized in 1919 following World War I to pay respect to the men and women who fought for our freedom. Veterans Day has unique significance to all of us at American Medical ID. 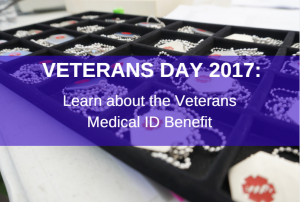 As a registered supplier of customized medical IDs for our Veterans, we continue to work with VA organizations and communities in carrying out the 2009 VA Directive to make medical IDs available for Veterans at no cost to them. Just last month, American Medical ID participated in a nationwide Stand Down Rebound event that was open to all Homeless Veterans and Veterans at risk of being homeless. Local service organizations came together to provide services such as free meals, free clothing, showers, haircuts, medical screenings and many other benefits. American Medical ID participated in the event by providing on-site medical ID engraving and was able to donate hundreds of medical IDs to homeless Veterans in need. 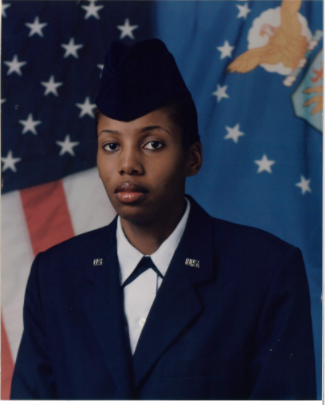 Evette joined American Medical ID in 2013 after a career in the Air Force as a Medical Supply Specialist. It’s been a real honor to have a military veteran like her to contribute her unique knowledge and leadership skills to our 100% American and employee owned company. Evette has successfully transitioned from military service and now shares in our mission to have an emergency ID on every person, including Veterans like her who deserve to retain their personal independence and to engage life to the fullest. Under the VA medical ID program, Evette also enjoys wearing her medical alert bracelet every day. According to The Centers for Disease Control and Prevention (CDC), veterans are significantly more likely to have two or more chronic diseases. This include diabetes, heart disease, and high blood pressure which are all conditions that merit wearing a medical ID. As part of our commitment to raise awareness of the Veteran Medical ID Benefit, American Medical ID also launched this short educational video on how Veterans can claim their medical ID through the VA program in 4 easy steps. A readable version of this guide is available on our Veterans Medical ID page. Salute and Thank You to all our Veterans! There aren’t enough ways to show our deep gratitude and appreciation to the men and women who afforded us, through their selfless sacrifice and service, the freedom that we now enjoy. Veterans are important to us and we’re at one with all Americans in celebrating Veterans Day! Are you a Veteran or know someone who is? Please help us spread the word about the Veterans Medical ID Benefit by clicking on any of the share buttons below. 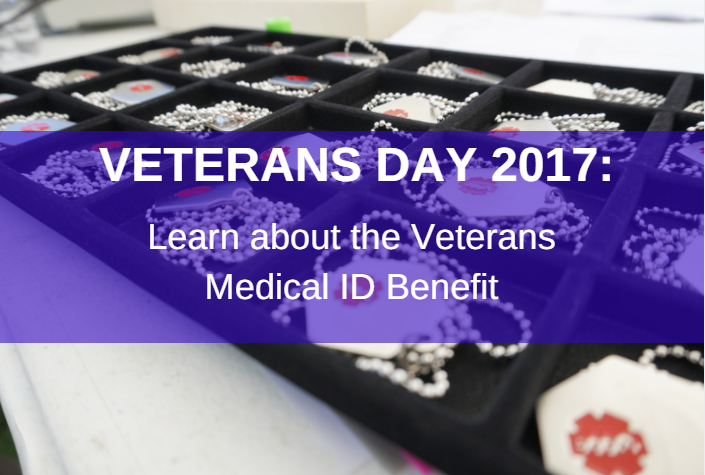 If you have questions or want to learn more about the Veterans Medical ID Benefit, please leave us a comment below. Med IDs for Veterans, Veterans, Veterans Administration, Veterans Health, Veterans Resources. Bookmark.